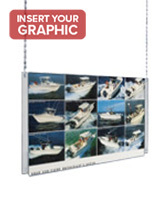 This Acrylic Sign Supply Wholesaler Sells Every Style Sign Available! This Sign Making Company is Ready to Help with Every Order! 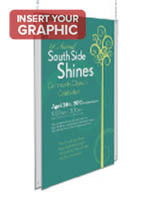 These sign supplies are great for clients that want to advertise in a special way. 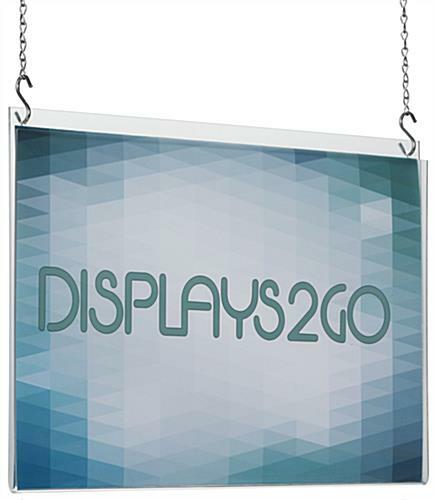 These Lucite sign supplies can exhibit artwork as well as promotional displays that advertise functions, promotions, sales, bargains and much more. The majority of these picture holders are observed in commercial shops, eateries and other firms that are often change their displays. These plastic sign supplies for sale are great for every business! 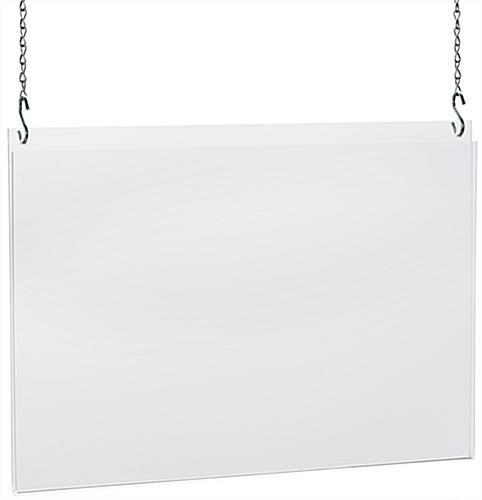 These Lucite sign supplies are a 17" x 11" Lucite frame with all the essential hardware needed to suspend it from a ceiling. The ceiling hung frame has a non-glare Lucite lens that reduces annoying light reflections for a clearer view. 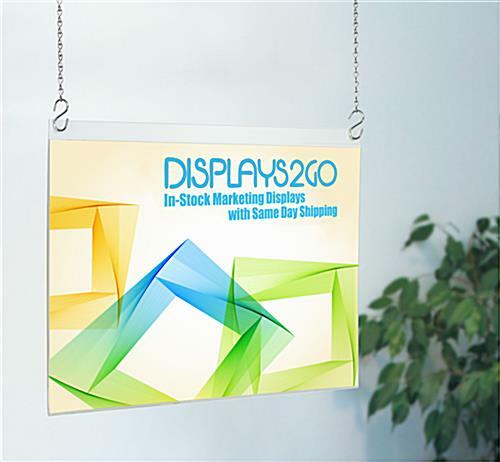 These Lucite sign supplies that are hung from overhead enable firms to free-up precious wall and floor space, which increases the advertising abilities of a business. This equipment comes with hanger equipment for hanging on ceilings. This equipment includes two 10' lengths of chain, 4 S-hooks and ceiling snaps (all metal). 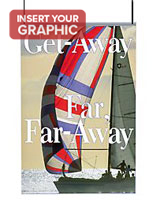 The sign supplies are easy to use as changing graphics requires the mere sliding in and out of posters. 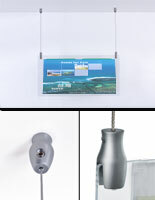 The signage can also be inserted back-to-back in these Lucite sign supplies for double-sided displays. 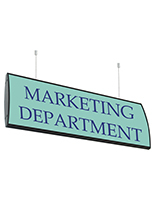 These quality sign supplies online are the perfect addition to every business!